Bunkhouses, occupying forlorn sites of Sandy Hill’s lost built-heritage are some of the ugliest examples of architecture in the City of Ottawa. They have become emblematic of Sandy Hill’s ills. As the City of Ottawa ponders the redefinition of R4 zoning, approximately 50 residents came to a Cultural Memory Workshop held at the allsaints Event Space on January 17 to envision what a best-case scenario would look like for Sandy Hill, how change could be managed without detrimental sacrifices, and how the neighbourhood might become inclusive rather than restrictive. The Sandy Hill workshop, organized by Rebecca Dolgoy, Trina Cooper-Bolam and Guillaume Vincent as part of a Cultural Memory Workshop series, was sponsored by the University of Ottawa and Action Sandy Hill. Chris Ryan, Bob Forbes and Chad Rollins spoke about the history, present situation, and future prospects for our neighbourhood. They laid the groundwork for five breakout sessions that followed the presentations. Who are the “we”? As expected, most participants were long-time active residents. It is clear that we need to be better communicators, to do more extensive outreach, to remove barriers to participation, so as to make all residents of Sandy Hill, short or long-term, welcome. The “we” needs to change. We need to have a better sense of what is coming down the pipe both in terms of challenges and opportunities. Enrolment at UOttawa has doubled in the last 10 years, putting incredible pressures on the neighbourhood. Will this continue or is it levelling off? 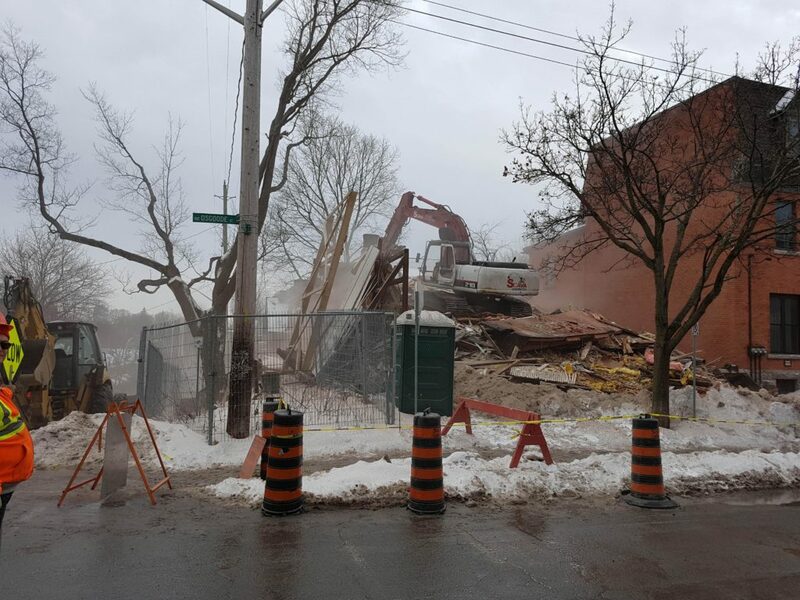 Will the big new residences on Rideau, Mann, and Laurier take the pressure off Sandy Hill’s interior? Yes, Sandy Hill residents are exhausted. But, unless we come up with a doable blueprint for the change we want, we’ll continue to meet other peoples’ (developers’) plans for our neighbourhood reactively and defensively–hardly a position of strength. Relying on the City of Ottawa to protect our interests hasn’t worked. Even when the City has come through for us, we’ve been overruled by the Ontario Municipal Board. The cavalry isn’t coming. • We need to make our urban spaces and associated built heritage relevant to how we live our lives now. The Bettye Hyde Cooperative Early Learning Centre is a great example of this. It’s also about not giving up and selling out. If we focus on providing livable spaces for everyone in Sandy Hill and take a whole community view, we may be able to integrate and maintain the socio-economic diversity needed to renew our community on an ongoing basis. Cultural diversity has long been a part of Sandy Hill’s make-up. Just the same, our discussion on amenities in Sandy Hill revealed the need for more French language services, such as a daycare. We want to set a higher aesthetic and architectural standard for new building and major renovations. Corrugated metal belongs on sheds not houses, and certainly not on our built heritage. So how do we meet these challenges? I can’t say that I know exactly. But, I do know that we need to think beyond bunkhouses and get our ducks in a row as a community. • generate the support of a politically critical mass of concerned citizens; it’s an election year! • access all possible area resources. The community association of Old Ottawa East worked with students from Carleton’s School of Architecture and Urbanism to envision their community development project. Couldn’t we do the same? Oh wait, Carleton has a Heritage Conservation program too! • plan positively—as in “Beauty-in-my-backyard (BIMBY)”. We resolved at the community gathering to undertake a BIMBY pilot–want to get involved? financial support—not from residents, I’m talking grants. • explore financial incentives to revive and restore built heritage—and disincentives to discourage predatory development. We need the City of Ottawa to implement them. • have faith in our community and resolve not to bail or sell out (especially to predatory developers!). share our skills for the benefit of our community. • We need to have fun and spread our love of our community. These are the things that the participants of the workshop explored and that a number of them committed to. We three concerned Sandy Hill residents: Guillaume Vincent, Chad Rollins, and I (Trina Cooper-Bolam), are planning our next steps. Will you join us? Drop us a line at lovingsandyhill@gmail.com.